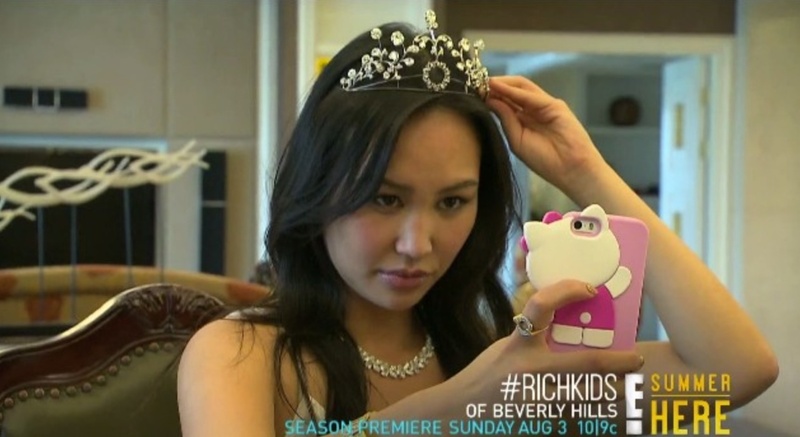 It’s nearly here #Rich Kids Of Beverly Hills returns for season 2! The Rich kids cast returns for season 2. The gorgeous cast have been busy filming their fabulous lives for what promises to be another great season! Dorothy, Roxy and Morgan are looking more glamorous as their TV careers develop. We will also be seeing more of the divine EJ Johnson as he becomes a full member of the cast. This entry was posted in #Rich Kids Of Beverly Hills season 2 and tagged Dorothy Wang, EJ Johnson, Morgan Stewart, Rich Kids of Beverly Hills, Roxy Sowlaty, Season 2 on July 13, 2014 by wealthandglamour.